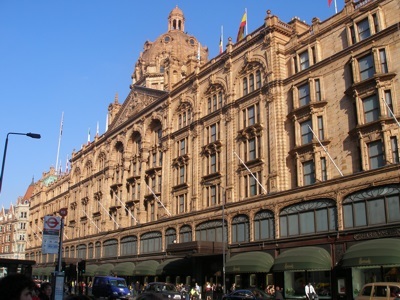 Harrods is the largest department store in the world. It is located on the Brompton Road, in Knightsbridge, London. Harrods was first was established in 1834 by Charles Henry Harrod in Stepney, East London. It moved to Knightsbridge in 1849. Today, Harrods is home to 330 departments, 28 restaurants, and is especially famous for its Christmas department (and Christmas window displays) and Food Hall.